Antenna Direct VHF / UHF Retrofit Kit. Antennas Direct Reflector Kit , Retro Kit. Easily add VHF antenna (channels 7 to 13) capability to your current Antennas Direct antenna. The VHF Retrofit Kit allows you to receives VHF signals for up to 25 to 50+ miles from the broadcast towers. The kit will attach to most ClearStream™ and Bowtie antenna reflector screens or the kit can be mast mounted. For both indoor and outdoor use. 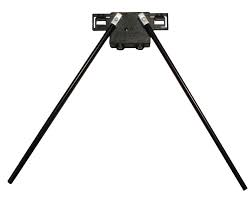 The kit includes VHF/UHF weatherproof combiner housing, 3 foot RG6 jumper cable with weather boot, and 4 zip ties. Now you can combine the C2 - V - Reflector to your ClearStream2, DB2E, DB4E, DB8E antennas and start receiving VHF broadcasts. Kit includes everything needed to convert a UHF to a UHF/VHF. Assembly instructions included.